Bitcoin mining is more than just having a computer in your mom’s basement though. There are a lot of things you need to know before you go ahead and jump into the businesses of mining cryptocurrencies. This guide will explain those “a lot of things” to you right here and right now. A lot of people have a soft spot for those clever little cockamamie get-rich-quick money schemes. Well for all those people, Bitcoin mining may perhaps represent the best opportunity. We have seen people talk about Bitcoin mining at family dinners over the holidays. It is the current “big idea” when it comes to making money. 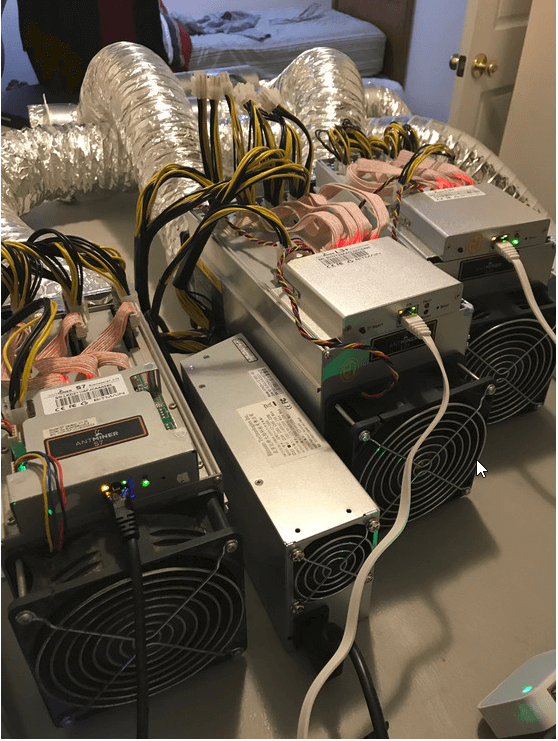 Some people are engaging in Bitcoin mining in their basements. You step into their homes and they’ll gladly take you downstairs to their Bitcoin mining setup. It is quite an experience when you come face-to-face with those whirring machines for the very first time. which snake around the whole room. Most of the setups of this kind are what they call a single Bitcoin node. 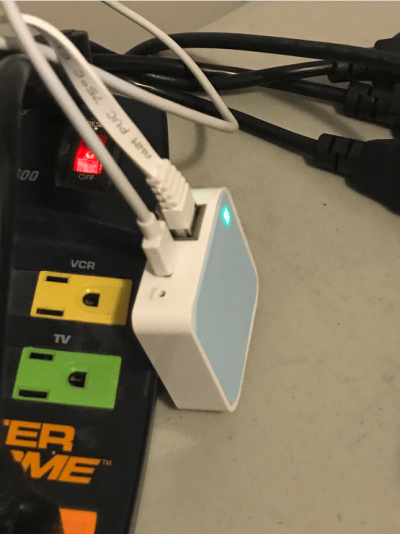 Sometimes people use setups that allow them to engage in a single Bitcoin node and as many as two Litecoin nodes. We don’t know how many millionaires Bitcoin mining has made, if any. But the Do It Yourself cryptocurrency mining business has seen a huge boom recently. People are running Bitcoin mining operations in all parts of the world. Now, remember, that Bitcoin is just one of the cryptocurrencies. There are about a hundred other cryptocurrencies as well. Along with these, we have seen other cryptocurrencies which have exploded into the cryptocurrency mainstream market. And they have done so within a timespan of a year or so. People have also seen cryptocurrency skyrocketing prices. Those prices have managed to stoke an ongoing and evolving craze amongst to people to get in on some of the action. Making money with Bitcoin isn’t just about Bitcoin mining. There are those casual traders as well. These are people who are just happy doing one thing. That one thing is simply selling and buying Bitcoin using various exchanges. The casual traders also have to store their cryptocurrency Bitcoins. And they do so with the help of various wallet apps. But there are always those people who look to dig a bit deeper. These are people who are willing to lay something on the line. Something, like a lot of capital. To these people, they are investing and not merely buying stuff. These to-be Bitcoin miners buy software, hardware and then arrange a shared ecosystem in order to ensure that they are able to mine Bitcoin and other such cryptocurrencies. A lot of people have written a ton of content on what a blockchain is. And that allows us to make the assumption that most readers would already know how Bitcoin works. This should also help readers to become fully aware as to why Bitcoin mining would require the kind of computing power that it does. And we can say for sure that it does require a good amount of computing power. In order to mine any cryptocurrency, you will have to invest a lot of money upfront. We’ll go into more details about that part in a bit. One other thing that a lot of people have some confusion about is the actual setup. Most of the times, when people see a Bitcoin mining setup for the first time, they may think that the set up guy must know a lot of coding. Bitcoin mining, nowadays, doesn’t require the user to know any deep amount of code. People can now easily buy pre-configured Bitcoin mining hardware via online retailers. After that, it is just a matter of learning on the go. But readers should know that Bitcoin mining or any other type of cryptocurrency mining is not really a simple task. It is also not that cheap. In fact, not cheap at all. You will have to spend quite a bit of money to get everything set up and then run the required operations. Bitcoin mining is perfect for people who are out there looking for a steady source of supplementary income. People who have too much time on their hands and want to give an expensive hobby a shot, should also think about Bitcoin mining. What we mean to say is that there is nothing stopping you from mining Bitcoins if you want to. And have the resources available. You can also ask people who are already running Bitcoin mining operations to know the ins and outs of how to go about it in a sensible manner. But basically, you need to know a bit about which mining rigs are sufficient for Bitcoin mining. And how to get started on performing the operations for Bitcoin mining. When you are done with this guide you will know the ins and the outs of the Bitcoin mining world. But it does come with its own challenges as well. Most of those challenges are related to technical and monetary issues. But if you are strong enough to handle those, you might as well strike gold and perhaps even earn a profit. What On Earth Is Bitcoin Mining Anyway? Bitcoin mining or any other type of cryptocurrency mining isn’t probably what you think it should be. You will need to bear with us for a moment before we explain what we mean here. The process of Bitcoin mining is a complex one and hence it is going to take a while to explain everything in simple English. First, let’s just clarify that Bitcoin mining isn’t about extracting a particular kind of or amount of monetary value. If we’re talking about concepts such as actuality, then Bitcoin miners play a key role in how the technology that we call blockchain works. But this is just a simple explanation. Anyone who has worked with Bitcoin or Bitcoin mining would tell you that you have to contend with a lot of nuances when it comes to Bitcoin mining. In any case, we’ll still take the simplistic view. And that view is that blockchains are nothing more than some decentralized global networks consisting of nodes (or computers). Users who know the technology behind the blockchain can and do use the technology to do many kinds of things. The blockchain network, at its core, is basically a network that first executes and then validates. After that, it records all the transactions into something we called a ledger. In the blockchain technology, the ledger is a shared one and is immutable. Bitcoin miners are actually the actors that try to bundle Bitcoin transactions into these blocks. New statistics indicated that someone creates a new block on the mainstream Bitcoin blockchain after about every passing ten minutes. And while that is happening, simultaneously, entities that be, release new Bitcoins. After uncovering new Bitcoin, they are released into worldwide circulation. Readers should also know that Bitcoin, that is the cryptocurrency Bitcoin network, has a fixed supply of Bitcoins. Right now, that limit is around 21 million. The Bitcoin blockchain network works in a such a way that after every 10 minute time period, a worker node or a Bitcoin miner is selected in order to validate Bitcoin transactions. It happens via concepts such as Proof of Work. The Proof of Work is basically a process that is very computer intensive. Most of the Bitcoin network experts liken this process to someone trying to solve a mathematical problem that constantly changes. Bitcoin miners are also the ones who generate a code string of hash which is the only one of its kind. In other words, it is unique. This “hash” fundamentally serves the function of a lottery ticket. To put it in simpler terms, it solves our Proof of Work maths problem. The hash also presents itself to be chosen by the system at some random given time for activities such as block validation. What About Rewards? Block Rewards? Why would you want to engage in Bitcoin mining? Or more appropriately, why do miners do it? They must have an incentive right? Well, they do have an incentive. The system rewards Bitcoin miners for solving that awkward Proof of Work maths problem. They also receive a reward when they become the block validator. The system rewards them in the form of a block. In other words, miners get to have a block as a reward. So how much do you or Bitcoin miners get? Well, the current Bitcoin block reward is around 12.5 Bitcoins. That’s what you get every time you perform the functions of a block validator? Actually, the reward value doesn’t stay constant. It halves for every 210,000 blocks. In the real world, that amount of time is about 4 years. Of course, that wasn’t always the case as we have mentioned before. Back in the year 2009, miners would get a reward of 50 Bitcoins per block reward. That fell to about 25 when the year 2012 came around. And in the year 2016, the block reward halved one more time down to 12.5 Bitcoins. Cryptocurrency experts have predicted that the next halving cycle will start in 2020 when the block reward will come further down to around 6.25 Bitcoins. If we take into consideration the current Bitcoin prices, then a reward of 12.5 of these things is still a whole lot of money. In fact, it is a heck lot of money. With that said, Bitcoin mining is competitive. Our research says it is an unreasonably competitive process. Most of the cryptocurrency miners don’t mine on their own. And that includes your next door neighbor. These cryptocurrency miners tend to join a mining pool in order to combine their computing resources. After they have gone through the whole process that we mentioned before, they split the rewards. You also have to take into consideration all the other costs that are associated with cryptocurrency mining. Not to mention, there are other complications to consider as well. Lucky for you we have already managed to cover the basics. Now we’ll take a look at the sort of setup that you’ll need to begin your mining operations from your home. First off, you should have a considerable amount of space for the full setup. There are all sorts of things that you’ll have to buy and then arrange in order to get started on your journey to Bitcoin “riches”. Continuing from our example in the beginning of this guide, if you want to have one Bitcoin node and 2 Litecoin nodes then you are looking at about three rigs. You would have two rigs for Litecoin. And then have a single rig for Bitcoin mining. You can arrange them in any way you like though. Go for Litecoin rigs on the left and Bitcoin rig on the right. Of course, you can choose any arrangement you like. Throughout the rest of this guide, we’ll try to break down all the working parts that play their part in allowing readers just like you to mine cryptocurrencies. We’ll also take a look at what do these parts cost. And where you can get some of them. Now, before you think about using your aunt’s folding table for summer barbecues instead of an actual rack for arranging your rigs, we want you to take a moment. And think about what you want to do. You want to mine Bitcoins. Hence, “looking pretty” isn’t one of the things on the agenda list. You just have to make sure that your setup works. Of course, you could have that as one of your priorities. But not the main one. It always helps if you try just a little bit harder to make your operation look just that tiny bit more professional. Mining Bitcoins isn’t just about buying the most expensive machines. People who use computer racks to house their cryptocurrency mining rigs have to take into consideration the fact that it may reduce the surface area of the whole setup. And that would allow less heat to escape to the environment. And we’ll talk more about issues such as energy efficiency a bit further down the guide. There are a lot of options here that you can go with. 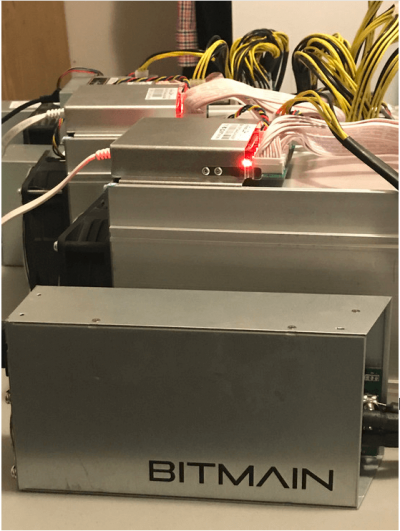 Right now, the Bitcoin rig that is making waves is Bitmain Antminer S7. Yes, this rig is going to cost you near $1500. And if you also want the appropriate power supply then you’ll have to invest another $200. Most retailers sell the power supply separately though. Now Bitcoin is different from other cryptocurrencies in the sense that it requires more powerful mining rigs. Bitcoin needs slightly more power, is what we mean. The reason is the tremendous strain that cryptocurrency users have put on the mainstream Bitcoin network. Hence, it should not come as a surprise to you if your mining rig for Bitcoin tends to run hotter. Also, expect it to consume way more power than your mining rigs that are doing their thing with Litecoin mining. What About The New And Improved Antminer S9? Again, the Antminer S9 comes from the same mining-hardware company as the S7. Bitmain has actually produced a number of the most popular mining rigs. The company has released its latest mining rig in the form of Antminer S9. As the name suggests, this version of Antminer is much more energy-efficient and much more powerful. Moreover, Bitmain has designed it for miners who want to adapt to the increasing demands of the industry. And we know what the industry wants. 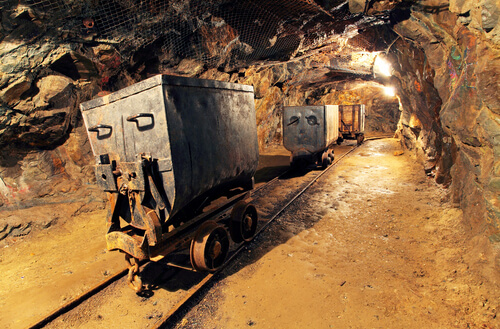 The mining industry wants more computing power. And the S9 delivers on those needs. Miners who are serious about taking care of Bitcoin blockchain needs should give S9 some thought. 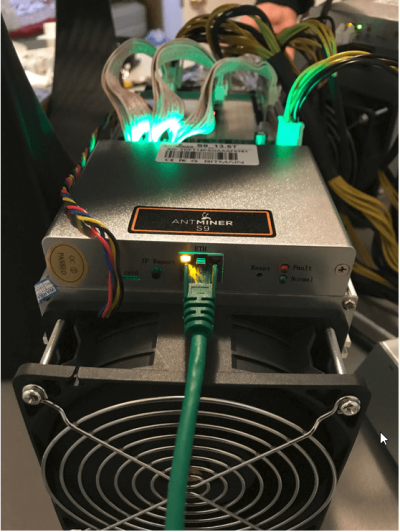 The Antminer S9 costs users about four times as much as Antminer S7. With that said, it is also true that the S9 is almost four times as much energy efficient as the S7. It has a better energy efficiency rate. As far as raw power goes, the S9 packs way more than the S7. Moreover, it can hash at a rate of 14 terahashes, TH. That is a lot especially when we compare it with Antminer S7 which can only maintain a rate of 4.73 TH. Of course, it is up to the user what he or she wants to do. It is perfectly fine if you go with Antminer S9. And if you want to eschew S9 and go with several S7s for the same price then that is great as well. The end point is the same. You will have to lay out a ton of capital in order to get up and running in the mining game. Some users who have bought the S9 have actually done so by trading in their Antminer S7 back to the manufacturing company that is Bitmain. This has allowed some users to offset the total cost of their new mining rig a little bit. As mentioned before as well, miners have the opportunity to mine far beyond the expensive and competitive world of the mainstream Bitcoin network. There are actually more than a thousand cryptocurrencies that you can mine right now. And remember, that all of these cryptocurrencies could one day become viable alternative payment options. Some users like to diversify their operations. They do that by mining multiple cryptocurrencies. As mentioned in the example above, you could have the hardware which allows you to mine Bitcoin as well as Litecoin. Bitmain, just as before, also makes hardware for Litecoin. Usually, you would want to start off with something like Antminer L3+ rigs if you want to setup 2 Litecoin nodes. If you do then you will be running these at around 504 megahashes per piece. We have already pointed out the fact that Litecoin mining consumes way less computing power and resources than Bitcoin. Of course, that doesn’t mean you’ll mine Litecoin for cheap. The hardware that you would want to use to mine Litecoin will still cost you a good chunk of your savings. We would like to mention the fact here, again, that the Litecoin hardware will cost you a little bit cheaper if you buy yours from manufacturers like Bitmain. If you go to the official website of Bitmain, you would see that people have already bought all the hardware they had for cryptocurrency mining. Expect the new batch of mining rigs to arrive by Match. That will cost $1500 per piece. You’ll also have to add in the costs of the power supply. These rigs are also available on Amazon. But you will have to come up with the will to pay around $4000 to $5000 for the mining rigs. What About Cloud-Based Mining? And Full Service? Bitmain isn’t the only company that is offering full service in the form of hardware for purchase. These companies not only provide the hardware but also lease some good mining software applications along with other services. These companies make it easier for everybody to get started with Bitcoin mining. Bitmain is probably the biggest player because it owns many other companies and sites as well. It owns companies such as Antpool. This site is great for wallet apps as well as price tracking. For cloud-hosted cryptocurrency mining, you should give Hashnet a try. Hashnet is the place you would want to go to if you want to purchase miner or lease mining power in a given data center. This is also called a mining farm. This site also allows you to pay off a given miner over a period of time via a payout. Or as the company would like to say, payout via an accelerated cloud mining contract. This contract comes with tiered pricing plans. The more expensive the plan, the faster hash rates it offers. It is just one of the many ways you can start your cryptocurrency mining activities. Most of all you would not have to lay out a huge amount of money for the mining hardware. Moreover, you won’t have to pay the recurring electricity costs either. Arrangements such as the ones that hashnet offers basically allow users to manage their miners via web apps as well as mobile apps. As you can probably imagine, cloud-hosted cryptocurrency mining gives users less control. Moreover, it would more likely lock you into the company’s subscription costs. Hence you won’t own the hardware upfront. In the end, it is about preferences. Cryptocurrency mining isn’t exactly the most energy-conserving process in the world. And that is especially true when are talking about Bitcoin. It consumes a quite literal insane amount of pure energy. Moreover, mining also produces a rather staggering amount of energy we know as heat as a result of mining. Because of that, it is essential that one makes use of a heavy-duty cooling fan. In fact, that the reason most good mining rigs come pre-equipped with these fans. Now, it will wear out. That’s just how fans work. When it does, you will want to replace it. And you’ll have to spend around $8 when it eventually reaches the state of “crap”. As mentioned before, if you mine day after day and nonstop then it will inevitably die. 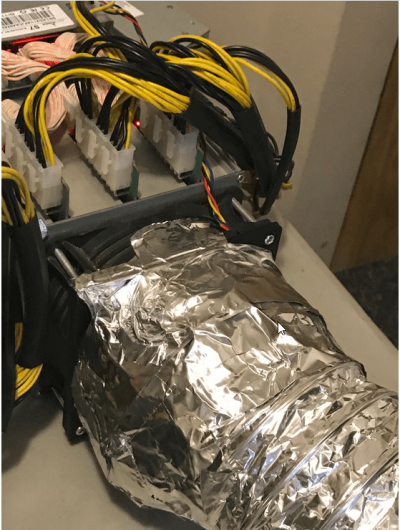 Some users say that Bitcoin mining spins these fans much faster than the Litecoin mining operations. Almost all, if not absolutely all, mining rigs come with hardwired Ethernet cores. This is perhaps a good time to mention that you can’t really connect your mining rigs to the internet via Wifi. Because these mining rigs require an enormous amount of bandwidth. And to fulfill those requirements you will need to set up network adapters and/or Ethernet bridges. These can cost as much as you want them to. In other words, they come in a range of prices. They can be relatively cheap. But they can also cost a few hundred United States dollars per piece. Those expensive ones are basically heavy duty options. And they include, Antrouter R1 by Bitmain. Most cryptocurrency miners who like to work on a small scale like the one we have mentioned so far can easily run their operations with much cheaper and everyday routers. The same goes for routers as well. Remember, we are talking about hardwired Ethernet connections here. Some users like to use multiple but inexpensive bridges along with adapters because they are just starting out. 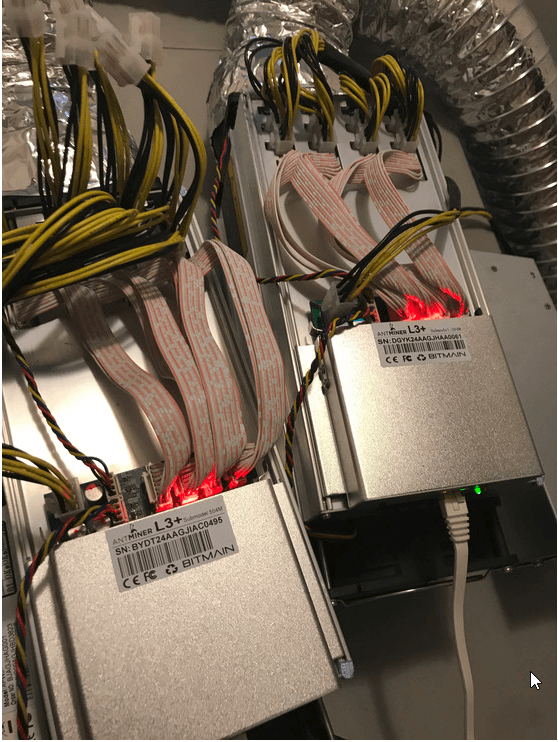 But as a miner grows his/her operation (such as by purchasing an Antminer S9) via more hardware like replacement rigs for more Litecoin mining, the miner has to use a few more of these. The general rule is simple enough. The more expensive your cryptocurrency mining operations get, the more cheap/expensive peripherals you will need to keep the operation going smooth and sound. We have already indicated that Antminer mining rigs don’t really give you a built-in power source. Users who have multiple rigs will have to purchase a separate and working Antminer Power Supply. The good thing here is that the power supplies can work with both mining rigs. If you have an Antminer L3+ workers mining rig then expect it to consume around 800 watts. Users who have the more powerful Antminer S7 worker mining rig should expect it to consume around 1300 watts. For those who are wondering, you don’t need proprietary power supplies. You can make do with other manufacturers’ power supplies as well. That’s what some miners will tell you. Moving forward from that, this means you can buy other types of modular power sources. Yes, we are talking about options such as M2TECH EVO. Most of these modular power supplies don’t even bother you with a power cord. But again, you’ll have to purchase all of these power supplies separately from your mining rigs. Our research shows that this is the time when most readers realize that the hardware costs associated with cryptocurrency mining do mount up rather quickly and significantly. And you haven’t even started to mine yet. Cryptocurrency mining produces a massive amount of heat. Hence, now is the time you should start to think about how to get rid of it. You don’t necessarily have to get rid of it though. In other words, you can also do something useful with it. Like, burn vampires or something. Your mining rigs will generate a ton of heat, so there are many practical options available. The mining rigs, or workers, exhaust does come with a funnel. Some miners prefer to manually affix venting tubes to that funnel. This allows them to easily manage all that excess amount of heat. So you got around to managing that heat. That’s what we’ll discuss in a bit. You’re in luck since Bitmain offers a software application to manage and monitor all of your miners. All you have to do is first set up the required hardware. Then you must follow the installation guide (available on Amazon). It will walk you through the rest of the process on how to first set up your miner and then configure it. After you have read the guide, you would know how to manage everything regarding your miner via a Windows-based interface. 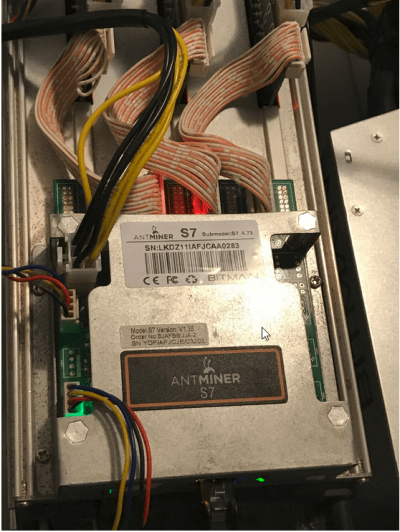 Some miners make use of Antminer’s interface and it shows them their memory and system overviews. 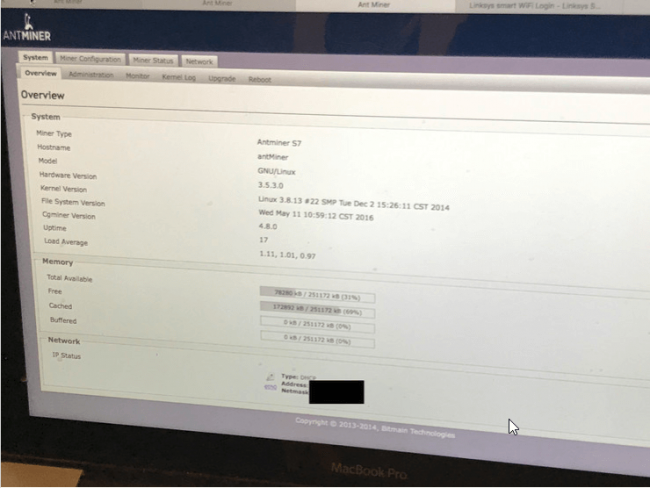 Antminer’s interface shows them other information as well. The most important function of the interface is that it allows miners to connect to their mining pools. If you want to make your investments viable you will have to make the key decision of joining mining pools. Joining a mining pool give you many other options and benefits. With a mining pool, you can combine your mining compute power with the many other mining rigs, or workers, that are working on the same cryptocurrency blockchain network. Moreover, doing so will increase any miners chances of actually successfully solving the Proof of Work problem. Once that is done, you can reap the block rewards. Various coins have several number of mining pools. Bitmain makes use of Antpool. Some users don’t like it. And instead of that, they opt for more popular mining pools such as Slushpool. Slushpool is specifically for Bitcoin Mining. For Litecoin nodes, there is Litecoinpool. Not all mining pools work on the same principals. In fact, each mining pool as a different set of rules. These rules govern how things like transaction fees and block rewards are distributed. For example, Slushpool charges a 2 percent fee and it calculates from the block reward along with transaction fees. It does so on the basis of a formula. Or more specifically various score-based rewards and formula policies. Litecoinpool makes use of merged mining. It is different from what Slushpool does. In other words, Litecoinpool pays on a per share basis. It uses a process for that. And that process is called merged mining. There are a lot of nuances to payouts. But let’s keep those on the side for just a moment. Mining pools are necessary for any miner. Because of their sheer computing firepower. Let’s just think of a single worker that makes use of Antminer S9. As mentioned before, the Antminer S9 has a fast hashing rate. It is about 14 TH. Compare that with a mining pool such as Slushpool. It currently has crossed the mark of 68000 active mining rigs, or workers. Now combine Slushpool’s compute power. We don’t know the exact calculations but Slushpool has an average mining hash rate or around 1.7 exahashes, EH. In fact, it is more than that. Just to drive that point home, we want to give you a quick lesson. What do we get beyond Tera? So you are looking at 14 tera hashes if you work on an individual basis. Or you can take advantage of 1.7 exahashes which are currently available via the Slushpool mining pool. Remember, reaping mining rewards isn’t about intelligence or anything else. It is purely about your sheer computer power. Of course, there is also random luck involved. But the logic remains the same. The more number of lottery tickets you can buy, the better your chances of winning the jackpot. So with that logic, you should go with pools. What Are The Challenges With Mining? And Are There Any Drawbacks? Now you’re probably thinking about the challenges that come with setting up and running mining rigs. We have already mentioned the price that you will have to deal with while purchasing mining hardware. We have collected these from some miners at various forums. First, you need to consider the fact that your electricity bill will shoot up. An average miner can expect to make around $17 per day with a single Litecoin L3+ rig. But the L3+ rig racks up $2.92 in electricity bills per day. What about the S7 Bitcoin rig? Well, the profit for that will depend. On the compute difficult of the exact Proof of Work problem that you are trying to solve for any given block. Our estimate is that an average miner’s electricity costs for a full year of mining (24 hours a day and seven days a week) would come around $2000. Some miners claim that they can generate revenues in excess of $18000 per year. That is a pretty good buck, don’t you think? Especially when you consider that you still have to factor in all the capital that you laid out for your mining rigs. However, if a miner keeps mining for long enough time period, then he/she might have the opportunity to pay off the initial investments. That would lead to increasing profits. After that, mining can actually transform itself into a pretty steady revenue stream. Some miners might get to a point where expenses related to the operation and electricity costs may outweigh block rewards. Then, they can either decide to not mine anymore. Even then, they can still hold onto their coins. After that, they can continue to make a bit of money in their long-term future with those coins. We will restate here again that mining is pretty expensive. And perhaps that is the biggest barrier. Everyone should calculate their own potential profits on a daily, weekly, monthly or yearly basis. There is a calculator for that as well. Go here for the calculator. The calculator shown in the link will actually take into account the user’s power consumption, electricity costs, and hashing power. It will also break the electricity costs down by cryptocurrency. Do note that cryptocurrency mining is slightly difficult. There are a ton of things that can go wrong while mining. You already know that rigs will have to run 24 hours a day. And for the full year. Any time that you rig spends offline will translate to lost potential block rewards. Mining is already an endeavor where achieving profitability is already very hard. One miner said that he had to call his aunt right smack in the middle of the night because he wanted help in fixing one of his mining rigs. You don’t know if you have that kind of an aunt. Or if you do, you don’t know whether she is half sleeping at that time. Maybe you do have such an aunt, but maybe she doesn’t have the brains to follow your unclear instructions over the phone. And if that is the case, she is probably going to hang up the phone and go back to bed. So you’ll have to fix your rigs yourself regardless of the fact if you have set them up in your own basement or your aunt’s basement. How To Heat Your Big House For The Entire Winter? Plenty of people are constantly searching for the next huge money-making business idea. In the case of cryptocurrency mining, it means diving ever deeper into the dark world of the cryptocurrency world. Some miners might want to supplement their operations with another big venture. That big venture mostly comes in the form of a datacenter somewhere. Miners may join up with their business partners to set up some of their own cryptocurrency firms. They can also start their own cloud-hosted mining business. Then they will have the opportunity to not only become rich but also the COO of their own company. In fact here is a business plan for any such miner. If a miner has the ability to handle all the daily operations for such a business then he/she could have a 100 or even more mining machines. They have to be up and running of course. Then the miner can make money by selling mining contracts. In other words, he/she could sell computing power from his/her own farm to other miners. And then they could agree on a return on investment ratio. Will such a plan succeed? If we are talking about now, then being a miner in the current situation is being like an enterprising actual miner with a pretty small pickaxe. Some would like you to believe that cryptocurrency mining is this generation’s digital gold rush. There is another pet project you can try out along with mining cryptocurrency. 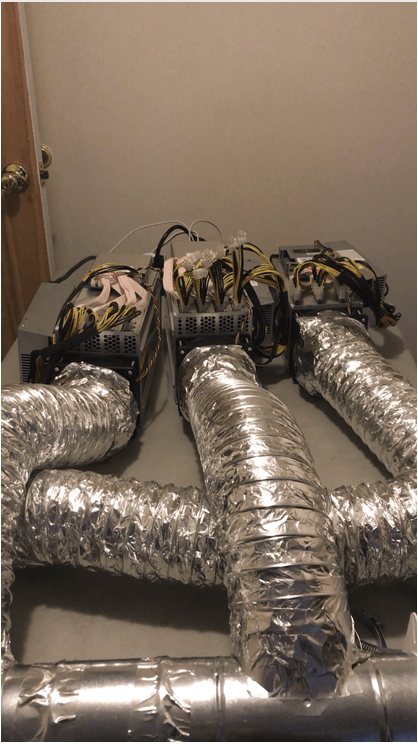 If you have the mining rigs setup right, then you can hook up those exhaust tubes from your mining rigs to a solid induction fan. Then you can heat your neighbor’s house for free when the winter comes. Or charge them money for it. Of course, we’re assuming here that right now your mining rigs are pushing out all that heat outside. If you do it for your own house, you can offset some more electricity costs. And that’s not too far-fetched. People in Serbia have already done that. So perhaps you can do it too. –There must be a better way to create a liberated international currency! Right now, we don’t think anyone needs to worry about international currency.